It could be said that to Jim Fazio golf course design is more of a family business. A business that began with his uncle George Fazio, the accomplished golfer and the contemporary of great golfers like Ben Hogan, Sam Snead and Byron Nelson. George's enthusiasm for the game and successful course design career was infections to Jim, who began his career in the golfing industry in 1961. Living up to his uncle's legacy was a tall order, but Jim Fazio has made a name for himself designing award winning courses in the United States, Japan, Spain, Italy, and the Caribbean Islands. After years of joint operation with his brother, Jim formed his own company as a designer and builder. From 1967 through 1971, Jim designed, built, and managed a 36-hole facility with one private and one public course wherein he gained his invaluable experience into facility operations. Chosen by Donald Trump to design and construct Trump International Golf Club, which in 2005 was by Links Magazine as the best course in Florida. Designed El Diablo Golf Club in Ocala, Florida which was acclaimed by Golf Digest as one of the #1 "Best Affordable Golf Course of the Year" in 1999. Designed The River Club in North Augusta, South Carolina which won Golf Digest #5 "Best Affordable Golf Course of the Year" in 1999. Fazio's Hawk's Nest in Vero Beach, Florida was ranked in the Top 50 courses by Golfweek in 1990. 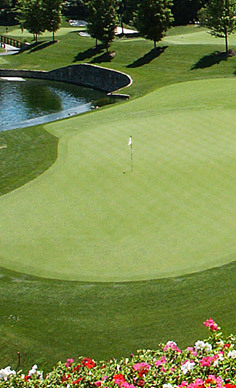 It also hosted the Florida Senior Championship in 1991, and has been a qualifying site for several U.S. Opens. As the comprehensive number of courses Jim Fazio has designed and built approaches 100, he continues his successful career with the same inclusive philosophy and passion for both the design of the course and the willingness to create collaboratively with owners. For a list of Jim's most recent projects, please continue to the Courses page.